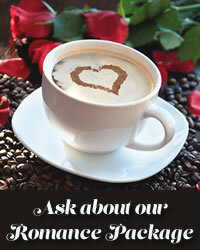 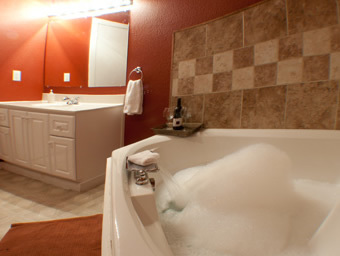 Mini Cappuccino Suite is a great romantic first-floor suite for two. 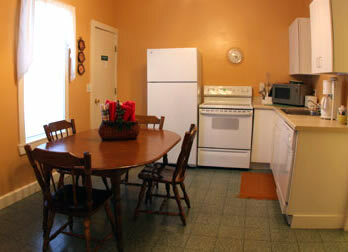 It has direct access off the garden patio and front porch with a view of the bluffs. 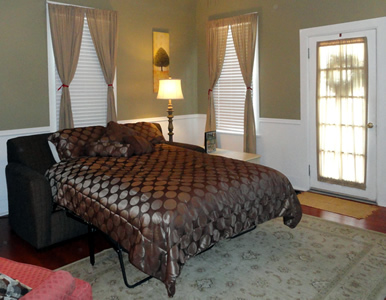 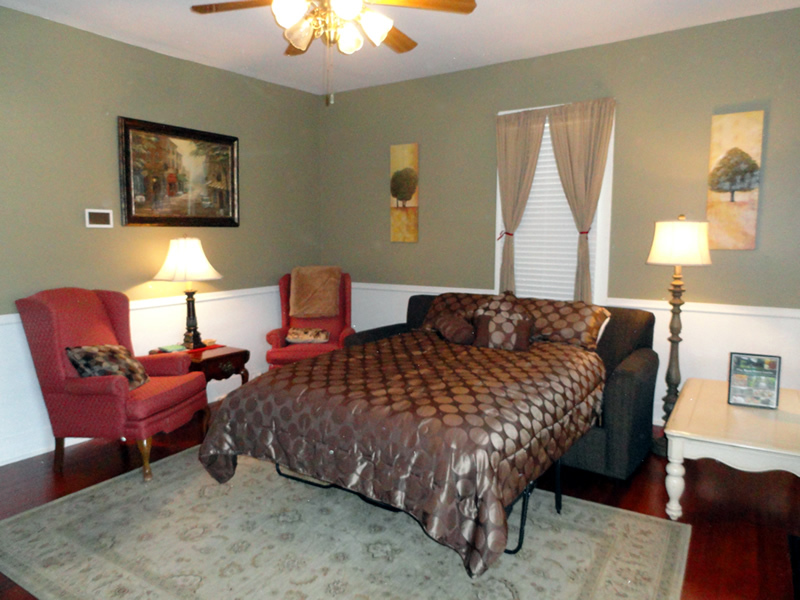 This suite has a living room with hard cherry floors and a very comfy Queen Sofa Sleeper that sleeps two. 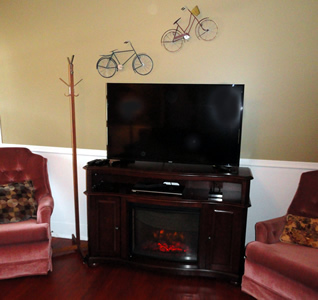 Cable with 50″ flat screen Smart TV and media center with DVD and fireplace. 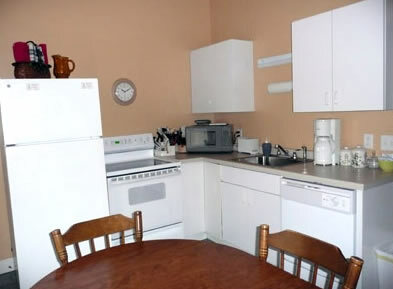 Fully-equipped kitchen with table and six chairs with more available.